Tis the season to eat, drink and be merry but all the festivity of Christmas and New Year does have one unwanted side effect for many people; the feeling of over indulgence. Whether you’ve had one too many eggnogs or simply stuffed yourself with mince pies, it’s not unusual to be feeling worse for wear the day after a Christmas party. Unfortunately, lying in bed and recovering under the duvet isn’t always an option. With so many parties to attend at this time of year, it’s more than likely there’s going to be at least one day when you’re going to have to face work with a hangover or an unsettled stomach following too many servings of stuffing and mulled wine. So, how do you get through a day at work when all you want to do is hibernate until you feel better? You need to make sure you have a breakfast which is made for the morning after the night before. I’ve come up with three delicious brekkies that will not only give you the energy you need to put in a good day of work, but will help cure what ails you. This recipe is exceptionally easy to put together, which makes it a brilliant choice if you can’t face spending much time cooking or if you’re in a hurry to get the office after over sleeping. Simply enjoy a nice bowl of Greek yoghurt with chopped banana and honey dribbled on top. This is particularly good if you’re suffering from an upset stomach as the bacteria in the yoghurt will help soothe it and aid digestive health. Meanwhile, honey has been found to break down alchohol left in the system into non-toxic substances which don’t give you a hangover - making a full day of post-party work feel much less painful. The banana is there for a dose of potassium, which is depleted by alchohol consumption. With the help of a banana you’re more likely to recover quickly. 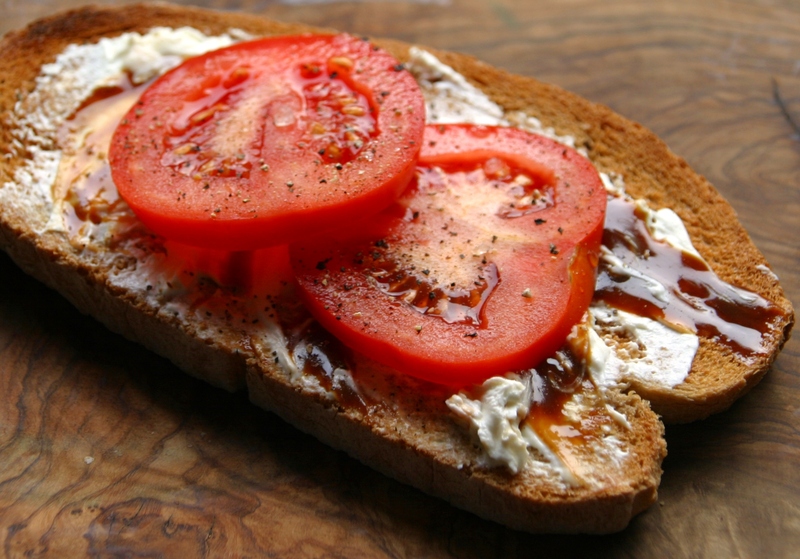 If you’re craving carbs after a boozy night then give in to your wishes and opt for a couple of pieces of hot toast, but skip sugary spreads and instead opt for marmite and sliced tomatoes. The carbohydrates will mop up alcohol and allow the body to process it much easier, while the marmite provides B vitamins which will give you an excellent energy boost. It's a great breakfast choice if you're worried about managing to stay awake in an early morning office meeting. The added tomatoes provide antioxidants, vitamins and minerals which will help you feel more alive, and prevent you from nodding off at your desk. In addition, the fructose in the tomatoes has also been found to metabolise the alcohol in your system, so your hangover won’t last as long and you'll be right as rain by home time. Banging headache? There's nothing worse than staring at a computer screen in a brightly lit office when you're battling against an aching head. Don't worry though, you don't have to pop paracetamol all day in order to get your work done. You need eggs. They contain a number of essential amino acids such as Cysteine, which works to break down the toxin acetaldehyde, which is a by-product of alcohol consumption that attributes to a sore and groggy head. Add as many colourful vegetables as you can manage and you’ll also be filling your body with the nutrients and vitamins it needs; the following recipe is a great starting point but don't be afraid to add extra veggies depending on the contents of your fridge. For a fluffy, delicious and hangover-busting vegetable omelette, start by chopping green and red peppers, half a small onion and a handful of broccoli. Put a pan on a medium to low heat and add a tablespoon of olive oil. Add your chopped vegetables and fry until the onions are soft - this should take about five minutes. Next, add 3 large eggs to a bowl, followed by a dash of milk and a pinch of salt and pepper, and whisk well. Remove the vegetables from the heat and transfer to a clean plate. In an omelette pan on a medium heat, add a knob of butter and teaspoon of olive oil. When the butter starts to bubble, pour in your egg mixture. After a few minutes, the egg should be cooked on the bottom and the sides should start to lift. If you feel confident in doing so, flip the omelette with an egg slice and cook the other side. Once cooked, sprinkle one side of the omelette with your vegetables and fold the other side over them. Cook for another minute to warm the vegetables through. Finally, transfer to a plate and devour! No matter what you choose to eat for breakfast the morning after a big, Christmassy night out, make sure you follow it with plenty of water as alcohol dehydrates the system and can make you feel much worse. If you can’t stomach food then try a sports drink to replenish your body with vitamins, minerals and electrolytes. It's a wise idea to keep a bottle of water on your desk throughout the day, so you won't forget to keep drinking and stay hydrated. Along with a good breakfast, water will keep your energy levels up and helps you concentrate whilst you're in the office. Remember though, prevention is better than cure – so stay safe this Christmas and drink responsibly. Do you have a hangover cure? Share it in the comment section below!